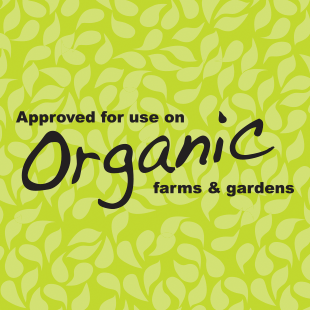 Approved for use on organic gardens! 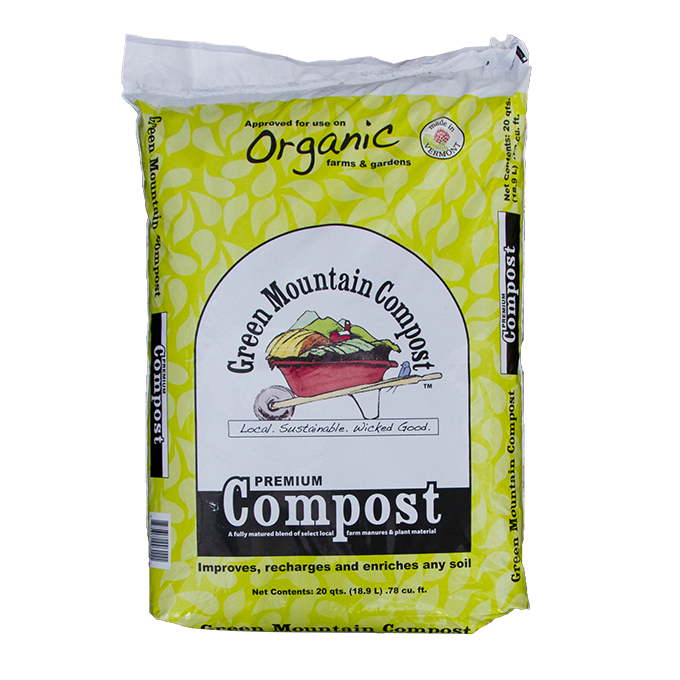 Our Premium Compost is rich in essential nutrients & beneficial microorganisms and contains an abundance of fast- and slow-release nutrients. 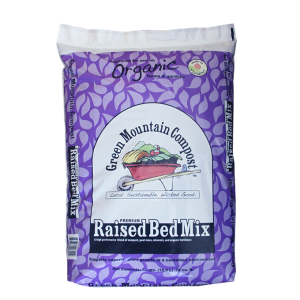 It is the organic choice for improving, recharging, and enriching any soil. Premium Compost improves water-holding capacity while promoting good soil drainage, and is chock-full of beneficial soil microbes that help suppress plant diseases. 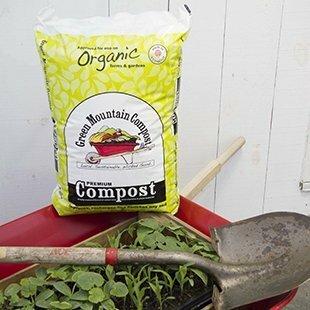 Our Premium Compost is rich in essential nutrients & beneficial microorganisms, and an abundance of fast- and slow-release nutrients. 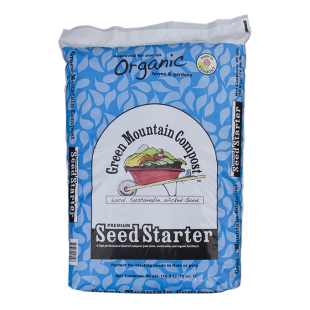 It is the organic choice for improving, recharging, and enriching any soil. 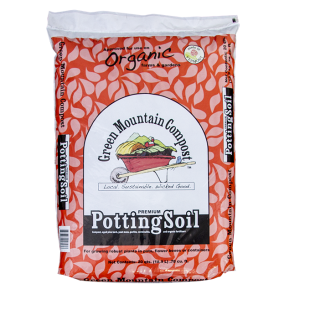 Premium Compost improves water-holding capacity while promoting good soil drainage, and is chock-full of beneficial soil microbes that help suppress plant diseases. 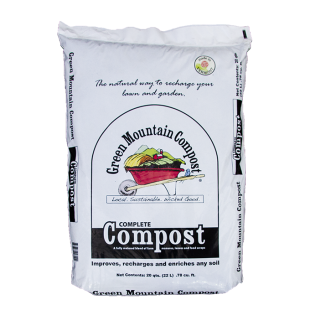 LAWNS: Fortify your lawn by topdressing with Premium Compost. 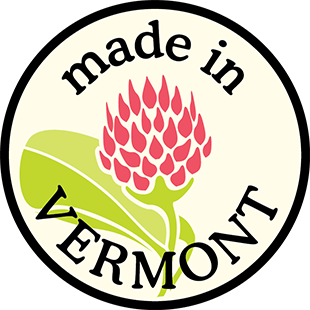 Approved for use on organic gardens and farms by Vermont Organic Farmers (VOF), NOFA-VT’s organic certification body. 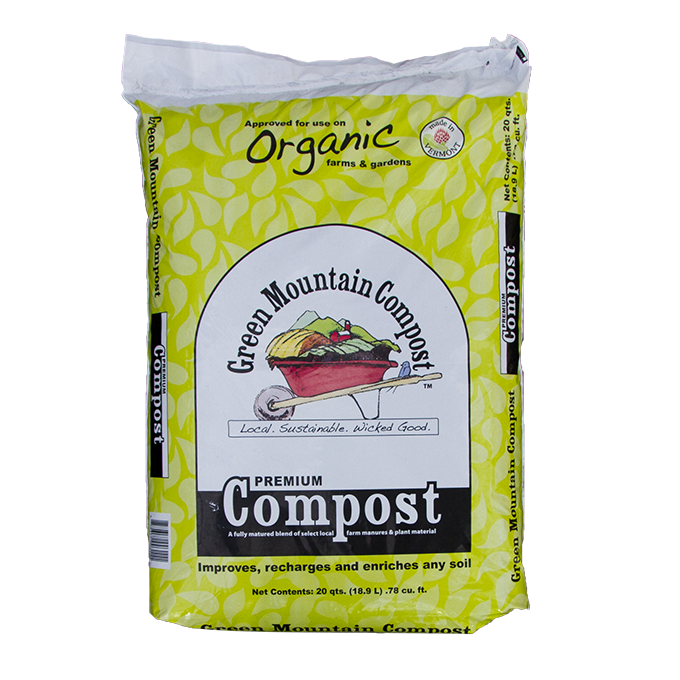 Made from Vermont farm manures, community yard trimmings, wood chips, and food scraps. Finely screened for superior feel and spreadability.